I’ve been addicted to pictures of bookshelves on Pinterest lately. I think it might be due to these bookshelves that I designed and asked my husband and father-in-law to build for me four years ago. After I had them for a year we moved and I’ve been craving them ever since. I loved how I could display my Dr. Seuss Books and golden books grouped together. They built the whole stair railing and shelves into the supporting wall. We painted the walls terra cotta color to match the stain. They also built the entire built-in entertainment center, with gliding drawers for DVDs and my office desk tucked into the corner behind doors so I could be downstairs near the kids when they played. Okay, I can’t talk about it too long or look at these pictures too often because I really miss this whole area and wish we could duplicate it but it just won’t work in our new house. 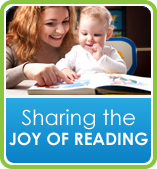 I hope everyone has the opportunity to take Dr. Seuss' advice to “pile your house with stacks of books, in all the crannies and all the nooks.” My wish is for every child to have more than one book in their home. We have been blessed to have a home library. There are bookshelves in every room of our house and I just filled our hall closet entirely with kid books too. 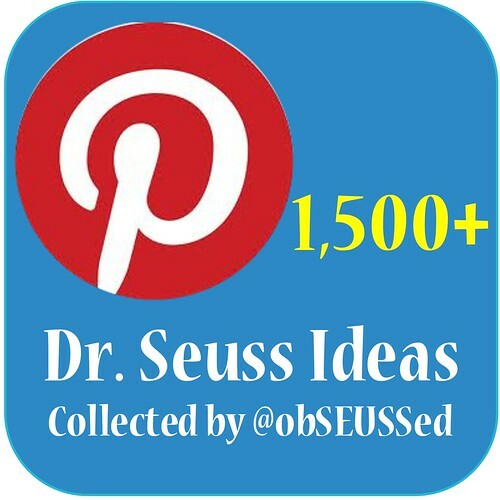 Follow me on Pinterest for more Dr. Seuss activities and ideas and creative book storage ideas. 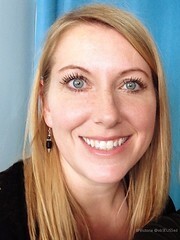 I’d love to see your pictures so leave a link in the comments if you have pictures posted online somewhere so I can pin it to my HOME LIBRARY pinterest board. That's awesome!! I would love something like that in my house! !